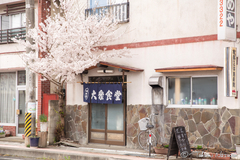 Tanagura Town is famous for Sakura blossoms, and Sakura blossoms of Tanagura Town are famous for the Site of Tanagura Castle and the Weeping Sakura tree of Hanazono. 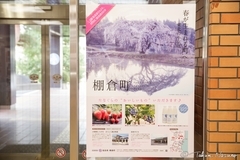 They are famous, however, considering that most people go through Shinshirakawa Statin to visit Tanagura Town, I rather reckon that we should recognize Sakura spots to enjoy along Hakuho Line from Shinshirakawa Station to Tanagura Town. This is why I would like to introduce Nanko Shrine, Shirakawa East Industrial Park, and Banzawa here. By the way, Hakuho Line carried the name of the former railroad on which trains used to run the same countryside course. The name, Hakuho Line (白棚線), was named after the first Japanese characters of each city - Shirakawa City (白河市) and Tanagura Town (棚倉町). Now let's see the first recommendation. You will easily find Nanko Park once you get off the bus at Nanko Park bus stop near Shinshirakawa Station. 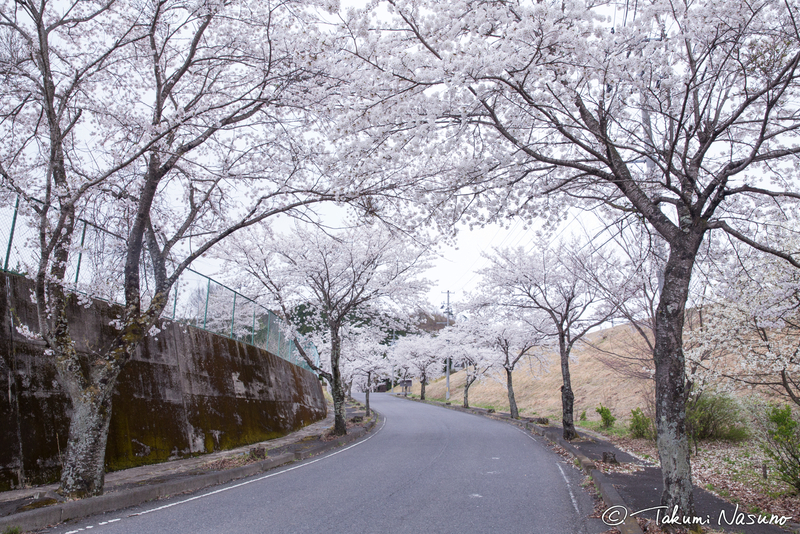 Nanko Park is a typical sightseeing spot where you can drive along the big lake and enjoy Sakura blossoms all along the way. 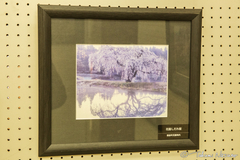 But what I must refer to here is the Red Weeping Sakura tree of Nanko Shrine, located in the northern park of the park. 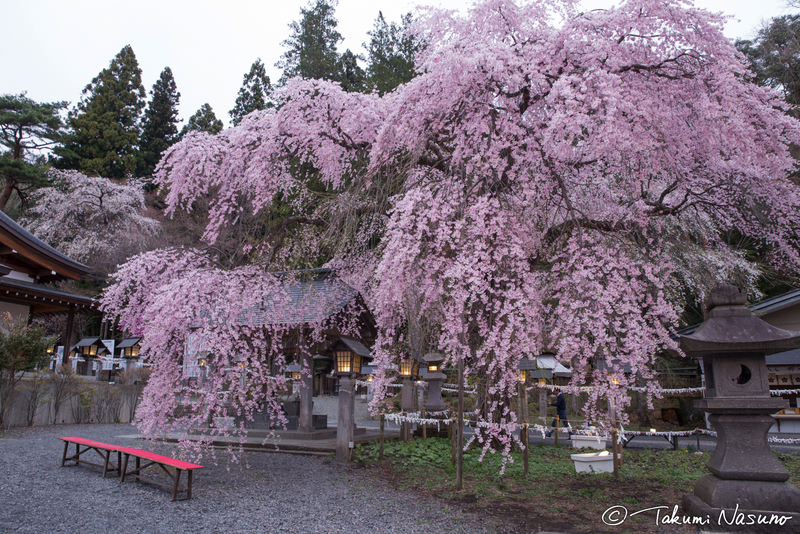 The tree is specially called "Rakuo Zakura", named after the nickname of the past feudal lord, Sadanobu Matsudaira (松平 定信). 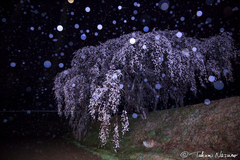 The Red Weeping Sakura tree here dominates the front of main hall of the shrine, which is as impressive as the Weeping Sakura Tree of Hanazono in Tanagura Town. Here, the tree has nice red chairs and lots of visitors are in line to take their memorial shots. 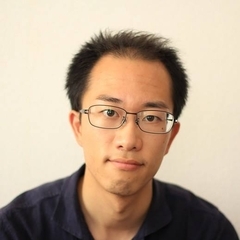 Many of them are from outside Japan. Nanko Park has lots of so-called souveinir shops and restaurants with lots of customers so things are quire diffenrent from Tanagura Town, I think. Wow... just amazing. I sighed. 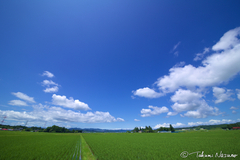 The second recommendation is Shirakawa East Industrial Park. 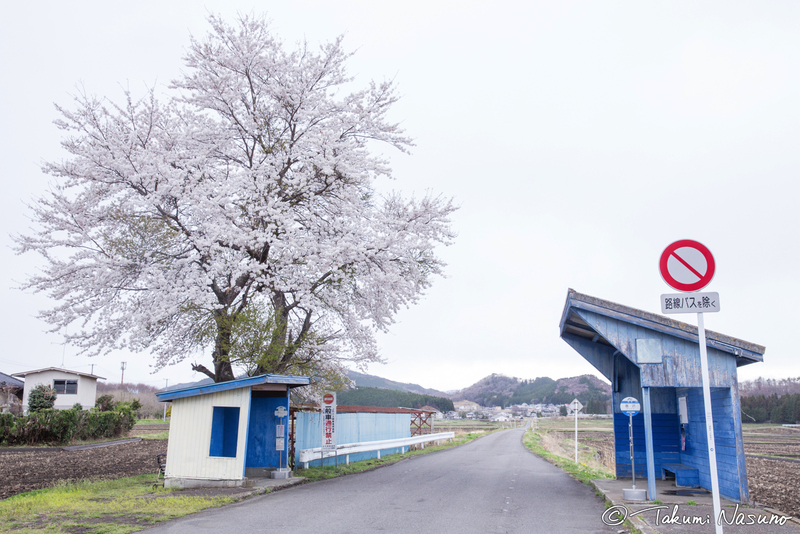 Right in front of the same-name bus stop lies a quiet slope of Sakura trees! The last recommendation is the bus stop of Banzawa. Perhaps no one introduces here as a sightseeing spot, or rather, you cannot get enough information even by googling this. This is a hidden spot where the bus stop holds a huge single Sakura tree. I burst into laughter. I was like "why on earth such a lonely place has this amazing Sakura tree???". This place enables you to take such a scenery with a running bus, of course. So here, I've introduced Nanko Shrine, Shirakawa East Industrial Park, and Banzawa. I hope any of them make you visit Hakuho Line and Tanagura Town someday.